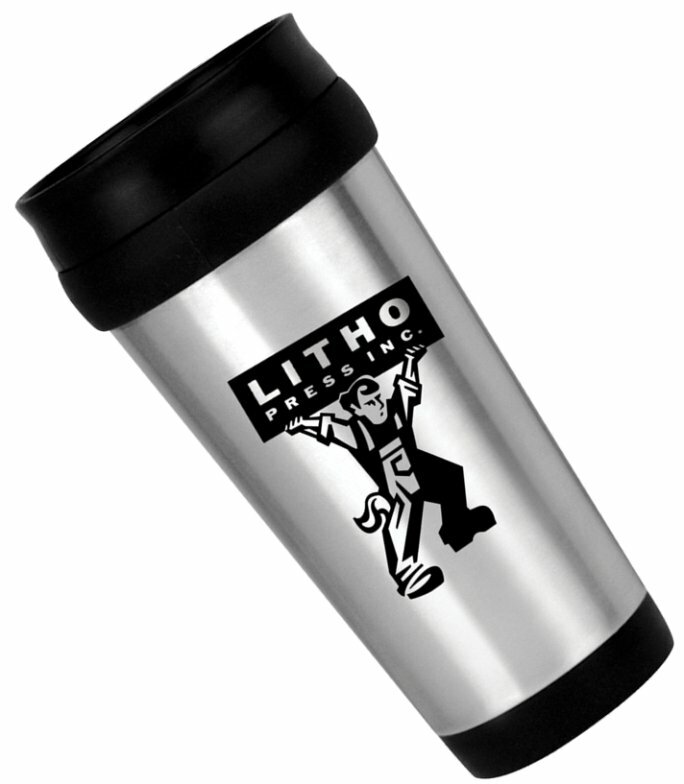 Stainless Steel Tumbler to please the CFO and get your logo to advertising. Applications do include business, organization, low cost stainless tumbler. Stainless tumbler features include stainless steel outer, BPA free black. plastic liner, double wall insulation, easy hand, push slide-n-drink lid. Overall size of tumbler is 7 1/4 h x 3 1/4 top dia. x 2 1/2 bott. dia. You MUST order this stainless steel in whole cartons of 36 units. Delivery from date of a stainless order is usually 2 to 3 weeks. Price includes one std. color imprint on two sides area 3" w x 3" h.